White-tailed spider bites can be quite painful, but not particularly dangerous. Those most at risk are those who have allergies or sensitive skin that may lead to complications following a bite, but generally the severity is still quite low. The most common symptoms of a bite from this particular species of arachnid are mild to severe pain and itchy skin. Another name for the white-tailed spider is Lampona murina or Lampona cylindrata, and they are typically gray or brown in color. A small and white to light gray spot can be found at the end of its abdomen, and this unique look is what gave it its name. The spider is considered medium-sized, varying from half an inch (~1 cm) to almost a full inch (~2 cm) in length. It mostly inhabits Australia, but some can be found as far as New Zealand. Rather than building a web, they prefer to hunt their prey which mostly happen to be other spiders. When someone is bitten by a white-tailed spider, the wound will have a red mark and some degree of pain can be felt. The wound will likely swell up slightly and be quite itchy. More severe reactions to the bite may include nausea, headache, and vomiting. Some individuals have developed lesions. In the vast majority of the cases, however, symptoms completely heal within a few weeks of receiving the bite. Unless advised to do so by a physician, bite victims should not use any medications like antibiotics because other solutions do not require the use of drugs. For instance, applying a cold compress to the area can reduce the pain and ease swelling; this is the recommended course of action. Patients should refrain from scratching the wound despite its itchiness, as continuous scratching can break the skin, exposing it to bacteria and infection. Do not scratch skin lesions also. There used to be quite a stir about white-tailed spider bites because outdated studies linked them to a medical condition called necrotising arachnidism. 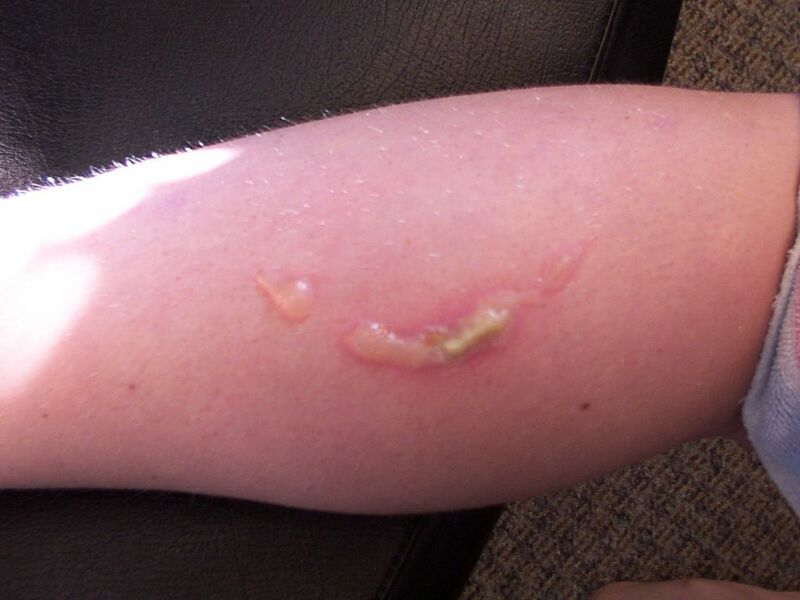 If one were to actually suffer from it, one’s skin can form ulcers, blister, and even begin to rot. Treating it requires surgery involving skin grafts and is highly painful. However, this connection has since been discovered to be unfounded. It is currently a mystery as to how one can contract necrotising arachnidism and whether there is even a link to white-tailed spiders, but lack of evidence suggests otherwise. White-tailed spiders like to hide in people’s homes. They enjoy living in dark areas, like discarded bedding or clothing. To reduce chances of a bite, homeowners should refrain from piling up towels or clothes on the floor. Despite spiders being quite difficult to completely rid from one’s house, there are steps one can take to discourage them from entering. Contact your local pest control businesses to find out how you can eliminate these spiders, as well as other pests that are invading your home.